Calcium is a mineral element that is essential for the body. It is one of the key elements for building the skeleton and maintaining bone mass throughout life. Almost 99% of the calcium in the body is contained in the bones. The remaining 1% of calcium plays an essential role in a number of vital functions in the body, namely coagulation of the blood, muscle and heart activity, arterial blood pressure, transmission of nerve impulses to muscle, the function of a number of enzymes, etc. Almost 99% of the calcium in the body is contained in the bones. The level of calcium in the blood (calcaemia) must remain constant. Every day some calcium is removed via urine, faeces and sweat. If the supply of calcium is insufficient, the body will draw on the reserve that the skeleton represents to maintain calcaemia and ensures that the body performs its vital functions. Hence, the importance of adequate consumption of calcium is evident. Bones are living organs and are formed before birth. In the course of life a person ‘remakes’ the skeleton four or five times. At birth the skeleton contains approximately 30 g calcium. At the start of adolescence it contains about 400 g calcium, and reaches between 1.0–1.2 kg in adulthood. Calcium cannot be synthesised by the body and thus has to be obtained from food. The foods that are the richest source of calcium are dairy products. Other foods such as sardines, certain fruit (e.g.figs) and vegetables (e.g. cabbage and broccoli), almonds and some natural mineral waters also contain calcium. The foods that are the richest source of calcium are dairy products. In order to be absorbed by the intestine, calcium must be in a water­-soluble form. Absorption takes place essentially in the first third of the small intestine (duodenum and jejunum), with active transport controlled by vitamin D and various hormones, such as the parathyroid hormone. Absorption also takes place to a minor extent in the ileum, where transport is passive. One third of the calcium in milk products is in a soluble form. The rest, which is bound to casein, is made readily available by enzymes in the stomach and intestine. 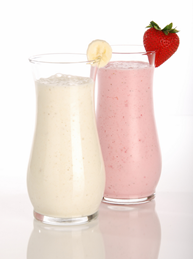 Milk contains phospho-peptides and lactose, which are components that facilitate the absorption of calcium. The bio-availability of calcium is defined as the fraction dietary calcium that is potentially absorbable by intestine and can be used for physiological functions, particularly bone mineralisation, or to limit bone loss. Intestinal absorption of calcium does not necessarily reflect its bio-availability. Calcium must be soluble in the acid medium of the stomach before it can be absorbed. 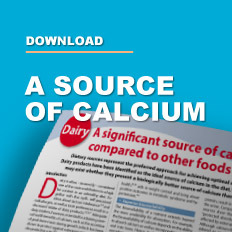 The potential absorbability of calcium depends on the type of food in which it appears, whereas absorption depends on the absorptive capacity of the intestines. The absorptive capacity is affected by physiological factors such as calcium reserves, hormonal regulation or previous calcium supply. Bio-availability depends on absorbability and the incorporation of absorbed calcium into the bone. Hence, it also depends on the urinary excretion and faecal loss of endogenous calcium. Certain types of food increase the likelihood that absorbed calcium will be incorporated into the bone, whereas others result in calcium being mainly excreted in the urine. Certain anions, such as sulphate and chloride, organic ligands (chelators) and excess protein or sodium all increase the loss of calcium in the urine and thus hinder its incorporation into bone. Phytates found in bran and most cereals and seeds, oxalates in spinach, rhubarb, walnuts and sorrel, and tannins in tea can form insoluble complexes with calcium, thereby reducing its absorbability. The effect of fibres and phytates has been examined in several reviews. A relative excess of phosphate has been thought to increase the faecal excretion of calcium. However, to this widely held view, excess phosphate does not reduce calcium absorption, at least if calcium intake is adequate. Lipids, especially milk fats, are thought by some to form insoluble soaps with calcium, reducing its bioavailability. In practice lipids do not interfere with calcium absorption. The dietary soaps are dissociated at the low pH of the stomach and cannot reform until they reach the ileum, which is beyond the main area of calcium absorption. Other constituents of food, like lactose, proteins and phospho-peptides in milk, are thought to favour the intestinal absorption of calcium and to keep it in a soluble form until it reaches the distal intestine. Phospho-peptides facilitate the absorption of calcium by passive diffusion and whey proteins, such as alpha lactalbumin and beta lacto-globulin, bind calcium. Lactose, like other slowly absorbed sugars, must be at the site of the absorption so that it prolongs the passive, vitamin D ­independent absorption of calcium in the ileum. Lactose acts on the intestinal mucosa to increase its permeability. All high osmolarity solutions double or triple the passive diffusion of calcium. Lactase deficiency does not prevent the calcium in milk from being absorbed. All dietary factors that have an effect at kidney level, in general increase urinary loss of calcium by reducing tubular re-absorption. The exception to the rule is the simultaneous intake of phosphorus, which should not be confused with the meal effect (all common foods are rich in phosphorus) and certain constituents that raise the pH (e.g. bicarbonate and potassium salts). Phosphorus has a direct effect by increasing the reabsorption of calcium in the distal part of the nephron or by enhancing the uptake of absorbed calcium into bone. The simultaneous absorption of calcium and phosphorus increases the uptake of calcium by bone, thereby decreasing its loss in urine. Excess protein generally leads to an increase in the amount of calcium lost in the urine, which may be masked by the opposing effect of excess phosphorus (from dietary components rich in both protein and phosphorus). Sulphate ions also bind calcium, preventing its tubular re-absorption and even its incorporation into bone. Chronic metabolic acidosis due to excessive intakes of sulphate and chloride anions leads to higher losses of calcium in the urine. 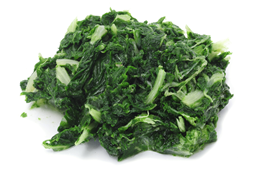 It has long been known that the renal clearance of calcium could be linked to that of sodium. For every extra two grams of dietary sodium, the urinary calcium excretion increases by an average of 30 to 40 milligrams. Dietary factors affecting the amount of calcium lost in the urine have major influences on calcium balance, and may even be more important than those that influence the intestinal availability of calcium. Calcium recommendations are calculated to take most of these losses into account. 1. International Dairy Federation. 2008. Calcium from milk. http://www.idfdairynutrition.org. 2. Miller GD et al. 2007. Handbook of dairy foods and nutrition. 3rd ed. National Dairy Council. New York. 3. Caroli A et al. 2011. J Dairy Sci. 94(11): 5249­5262. 4. Weaver CM et al. 1999. Am J Clin Nutr. 70(suppl): 543S­548S. 5. Guéguer L. 2002. J Am Coll Nutr. 19(2): 119. 6. Camara­Martos F. 2002. Biol Trace Elem Res. 89: 43. 7. Baghers S. 1995. Reprod Nutr Develop. 25: 705. 8. Bronner F. 1992. J Nutr. 122: 641. 9. Bronner F. 1987. J Nutr. 117: 1347. 10. Lee YS. 1983. Brit J Nutr. 49: 67. 11. Miller DD. 1998. Adv Food Nutr Res. 33: 104. 12. Kwak HS et al. 2012. Int Dairy J. 22(2): 147­151. 13. Pansu D. 1999. J Nutr. 129: 9. 14. Allen LH. 1982. Am J Clin Nutr. 35: 783. 15. Greger JL. 1989. J Nutr. 119: 1691. 16. Lemahn J Jnr. 1993. Urinary excretion of calcium, magnesium and phosphorus. 2nd ed. New York. Raven Press.